Ghanaians were united in an outpouring of grief since Monday May 29, asking how a peaceful country could become the scene of the world’s worst attack on a soldier on duty. The awful death of Captain Maxwell Mahama has brought nothing but sorrow to majority of Ghanaians especially his family. However, some politicians have started blaming the current government for the murder of the late Captain. But, Rev. Owusu Bempah leader and founder of the Glorious Word Ministry International has advised Ghanaians to desist from politicising the matter. According to the man of God, the issue is more spiritual than political and quoted verses in the Bible to support his assertion. Basing his spiritual analogies on a biblical story about David and the Gibeonites, the man of God made a conclusive statement that Mahama’s death is part of the punishment the nation must suffer as a result of certain demonic (Spiritual charms) steps President Mahama took to become the President of the nation. The man of God who spoke to Kwame Nkrumah Tik3se, chastised those who link the captain’s death and other strange deaths to Nana Akufo-Addo’s administration saying, happenings in the country must be blamed on the former administration especially the leader who used charms, buried live cow, and other daemonic steps to win the 2012 elections. He quoted the Bible to support his assertion that Captain Mahama who is a nephew of the former President, suffered that painful death as part of punishment the Mahama family must suffer for what the former President did. He said, during the long famine in the days of David, David sought for the presence of God and the Lord said, “it is for Saul and his bloody house, because he put the Gibeonites to death” so David called the Gibeonites and spoke to them and the they demanded seven men from Saul’s sons to be given to them to be hanged to pacify their ancestors which David did. According to Rev. 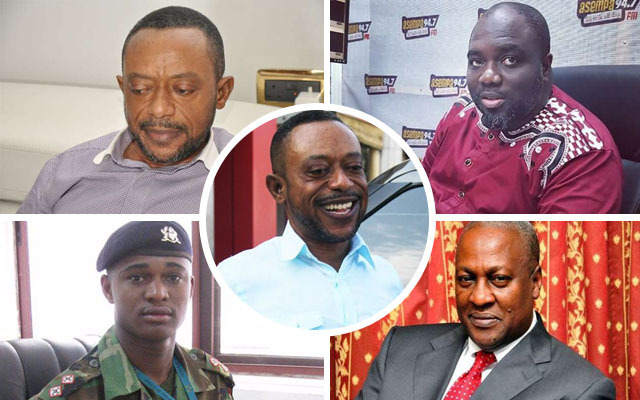 Owusu Bempah, Captain Maxwell Mahama represents one of the seven sons of Saul who was lynched as part of punishment the Mahama family must go through. The Pastor has warned Ghanaians not to link happenings in the country to vigilantism and other reckless behaviour by people who claim to be operatives of the NPP, called on fellow pastors to come together and pray fervently to God to cleanse the country of curses bedeviling the country as a result of spiritual works of President Mahama and the NDC. Rev. Owusu Bempah recently handed the destiny of the country to Nana Akufo-Addo through a horn he presented to the President during a special church service. What do you think? Is Rev. Owusu Bempah a Fake Pastor? Is he trying to seek attention? Let us know in the comments section.